Who will pay for our hospitals? Hospitals, rather than GP surgeries or community care, are often the focus of NHS-related campaigning. 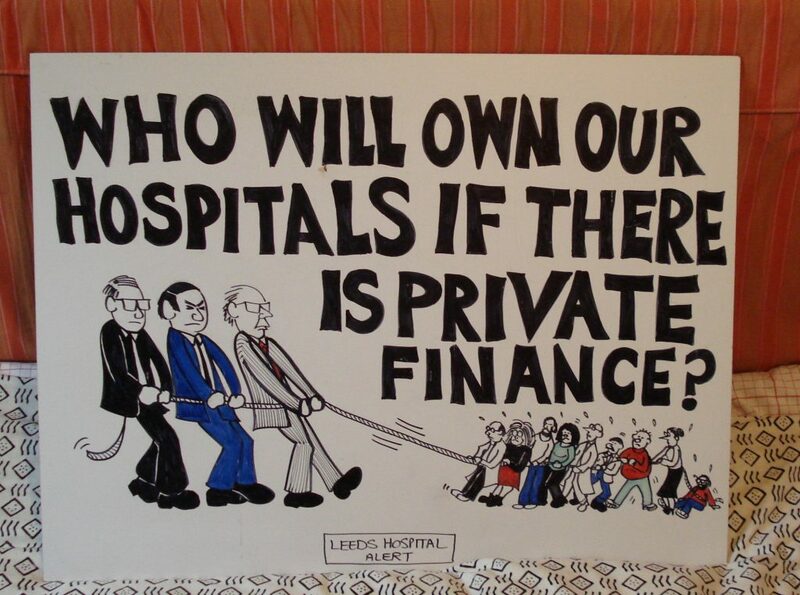 This placard again presents the idea of hospitals as 'ours', belonging to the community or society. How right were we to illustrate the leeches on the PFI illustration. Had they listened to us and other groups around the country we wouldn’t now be facing the Carillion disaster. Allyson Pollock was our guide and still is.